Consulting Skills Training delivered to professionals around the world. 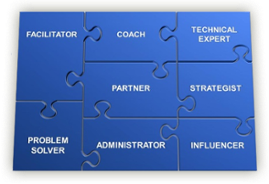 Twenty years ago consulting skills were the exclusive domain of professional consultants. 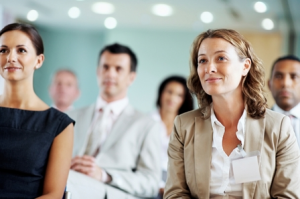 Today, consulting skills training is the new business 101. They belong to everyone in business and have become essential for getting results in today’s complex web of people, organizations, and business relationships. In our many years of experience providing consulting skills training, we find the greatest impact occurs when we teach people consulting skills within the context of their business and daily experiences. To accomplish that, we specialize in customized consulting skills training using our world class workshops as a starting point. We specialize in clearly understanding our clients’ needs and preferences, and then delivering the exact training each one needs to achieve its business and development goals. Experience: We have been developing and delivering consultant development training, with extremely high client satisfaction, for over 25 years. Our experienced consultants and facilitators are simply the best at what they do. Superior Content: We literally wrote The Book on consulting in the 1990’s. Since then we have continuously refined and expanded our Consultative Partnering workshops to reflect our latest research, experience, and emerging business trends. Learn what is at the heart of our Consultative Partnering workshops and how they can help you and your people respond to the unique challenges of working in today’s business environment – while adding more value with greater visibility and partnership. Initially developed for professional consultants, Consultative Partnering quickly caught on among internal groups under pressure to provide greater results and a higher level of partnership with their internal clients. Serving those with both external and internal clients, Consultative Partnering has become a cornerstone of corporate and government professional development programs. Could Your Business Become Extinct?